An elegant bell-like finial in Palladio's Villas style. On the top a carved fruit basket, all around the bell area several carved leaves in relief complete the design on this hand carved Finial element. 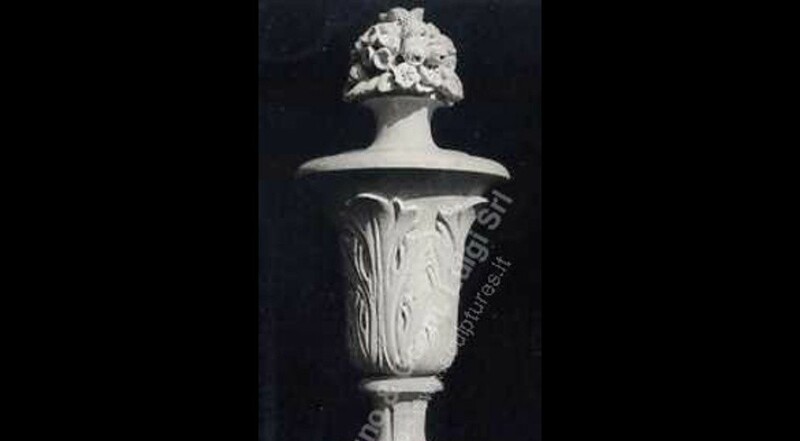 Used as garden stone accessory on several Italian Villa, or as simple but elegant garden ornaments in different areas, balcony, balustrade, pilasters, entry gates, top of roofs and much more.